NRA lobbyist Marion Hammer wants to transfer oversight of the program to Chief Financial Officer Jimmy Patronis, a Republican. Senate Democrats want to transfer oversight to the Florida Department of Law Enforcement. After a breach in background checks for Florida's concealed weapons permitting program was revealed earlier this year, it became apparent that change was imminent. But the direction that change would take has become a tug-of-war between Democrats in the Florida Senate and powerful National Rifle Association lobbyist Marion Hammer. The agriculture commissioner's office attracted unwanted attention in early 2018 after it was found out that for 13 months, the department's Division of Licensing stopped using results from an FBI crime database that ensures those who apply do not have a disqualifying history in other states. Hammer now wants to transfer oversight of the concealed weapons permitting process to Chief Financial Officer Jimmy Patronis, a Republican. Democrats in the state Senate — and incoming Commissioner of Agriculture Nicole "Nikki" Fried, also a Democrat — have other ideas, and plan to file legislation in an attempt to make them law. Democratic state Sens. Lauren Book and Linda Stewart have drafted a bill proposing the Division of Licensing be moved from the Department of Agriculture and Consumer Services to the Florida Department of Law Enforcement. When Florida first adopted a statewide program for concealed weapons permits in the 1980s, it was overseen by the Secretary of State, an elected position. But when the Secretary of State became an appointed position in 2002, Hammer had lawmakers move it to Agriculture. Florida is unusual in having its concealed weapons program overseen by the Department of Agriculture — almost every other state leaves the job up to police or the courts. Stewart, a Democrat from Orlando who helped draft the bill, said the language aims to streamline the current process and depoliticize the department. In the current system, applications for concealed weapons permits are supposed to be run through FDLE as a final step. 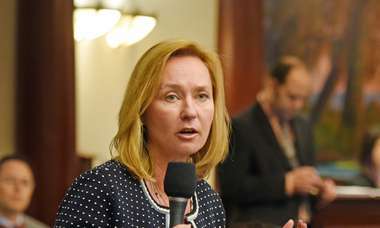 "The Putnam office was the middleman to what could have been streamlined and faster to deal with these applications," she said of the administration under Commissioner Adam Putnam, who was ultimately responsible for the breach. Stewart said the impetus behind the bill is to depoliticize the process and distance the NRA from having a hand in concealed weapons permits. "When you start putting this in agencies that are elected, that is political," she said of Hammer's idea to shift responsibility to the CFO. "We need to go with an independent group to do their job. That's what's been missing. It shouldn't be made complicated, and it shouldn't be made political." Book, a Democrat from Plantation, plans to file the piece of legislation after she and Stewart meet with commissioner-elect Fried in early December. Fried was the only Democrat to win statewide office in the midterm election. The senators then plan to meet with new Senate President Bill Galvano, a Bradenton Republican. "I can't even imagine him being opposed to it," Stewart said. "We are just waiting for everybody's approval for it to get released." The idea is adamantly opposed by the NRA, however. FDLE is "one of the last places it should go," Hammer said Monday. Instead, she said, the Division of Licensing should be moved to the state's CFO, an elected Cabinet member who would not mess with the program and would properly manage the trust fund associated with it. "The logical place for it to go is under the CFO," she said. "The CFO would continue to run it properly." Anna Alexopoulos Farrar, spokeswoman for CFO Patronis, said the office is "open to learning more about the proposal." "The concealed carry permitting process is an important step for law-abiding citizens to protect themselves," she said. "This decision, ultimately, is the will of the Legislature." 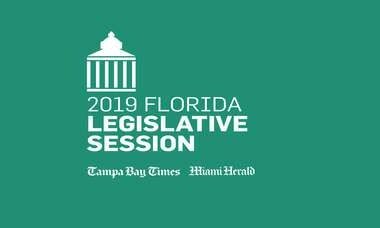 Moving the program out from under Fried would require passing a law through Florida's Republican-controlled Legislature. Hammer said she hasn't discussed the issue with Patronis, and she wouldn't say whether she has any lawmakers lined up to introduce legislation to move it to him. Hammer said she wasn't opposed to the concealed weapons program being under the oversight of a Democrat. Rather, it's what Fried has said that has bothered her. "It's a commissioner who has vowed to tinker with the program, to try to fix something that isn't broken, and to generally disrupt the program that currently serves over 1.8 million Floridians," Hammer said. Over the course of her campaign, Fried has promised a full audit of the program and has distanced herself from the NRA through advertisements and adversarial social media posts. During a televised debate with opponent Rep. Matt Caldwell, Fried discussed moving oversight of the permitting process to the FDLE instead. She says the current office doesn't take every step of the background checks seriously. Fried, a gun owner and concealed weapons permit holder herself, has emphasized that her stance is nonpartisan. "Employees of the department will work for the people of Florida," Fried wrote in a letter she said was sent to Hammer. "Neither the department, nor its employees will carry out the interests of the NRA, or any outside group that seeks to unduly influence the rules that apply to them." Hammer said she has not spoken to Fried. "She has made it clear that she doesn't want to talk to us," Hammer said Monday. "She has never reached out to us, and claims during the campaign that she had sent a letter to me were false. I never received a letter from her, period." The NRA has been insistent on having an elected official, not an appointed one, like the FDLE commissioner, run it. Having FDLE run the background checks, but having a separate state agency dispense the permits, has led to several problems over the years. 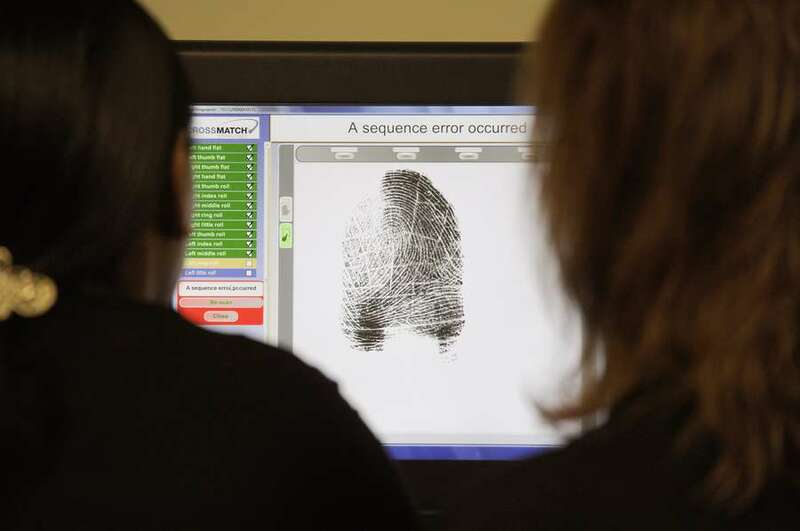 In 2000, the licensing division was found it wasn't comparing applicants against a state database of domestic violence abusers because FDLE couldn't share the database with them. In 2012, the South Florida Sun-Sentinel discovered it wasn't comparing applicants against an FBI database because the Department of Agriculture wasn't a law enforcement agency. Top NRA lobbyist emails Florida government officials often. When she does, they jump. But Hammer says that such an important program should be under an elected official. "The concealed weapons licensing program needs to remain under an elected Cabinet official," Hammer said. "It's a program that should never be under any agency, much less a law enforcement agency that is not answerable to the people." Correction: An earlier version of this story stated that background checks ensure those who apply to openly carry a gun in public do not have a disqualifying history in other states. Those applying for concealed weapons licenses are not able to openly carry a gun in public.